Many people who are interested in learning about protecting their long-term care opportunities in the future are primarily concerned about the best way to protect their individual assets and to ultimately qualify for Medicaid. These are complicated issues that are often addressed in the Medicaid planning process with the help and support of a knowledgeable estate planning attorney. 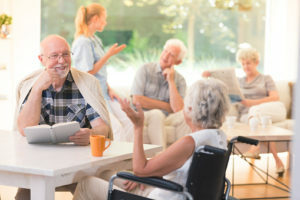 A recent study published in the Journal of the American Geriatrics Society identified that the quality of a nursing home can be extremely important for the outcomes for the patients inside. For example, those patients who were placed inside nursing homes that tended to have higher quality ratings overall had a much lower chance of being transitioned to a long-term care facility over time. It turns out that interventions with these people earlier on in their initial medical condition screening could help to decrease the person’s chances of being transferred to a longer-term facility to continue the management of these needs. If you are curious about how to pay for long-term care and recognize that this may be an important part of your future, it may be beneficial to schedule a consultation with an experienced estate planning and long-term care lawyer today.